Police are investigating whether a University of Virgina student who died after collapsing at a D.C. club over the weekend took a drug known as "Molly." Two people who were with Shelley Goldsmith at the club EchoStage told first responders that Goldsmith had taken the drug molly, several law enforcement sources told News4. They also said she had come up on a bus from U.Va. Goldsmith was taken to Providence Hospital where she was pronounced dead at 7:44 p.m. Saturday evening. The cause of her death has not been determined; an autopsy and toxicology tests are being performed. Molly, or MDMA, is a purer reboot of ecstacy and has been linked to several recent deaths: Two at a concert in New York and one in Boston, just this past week. "This incident has just proved that it's not something to mess around with," one student told News4. "It's a serious issue and it's a serious substance. College kids think they're invincible and they're not." Goldsmith was 19 and from Abingdon, Va. "We were real lucky to have her for almost 20 years," said Goldsmith's father, Rob Goldsmith. Shelley Goldsmith had a full scholarship to U.Va., where she was beginning her sophomore year. 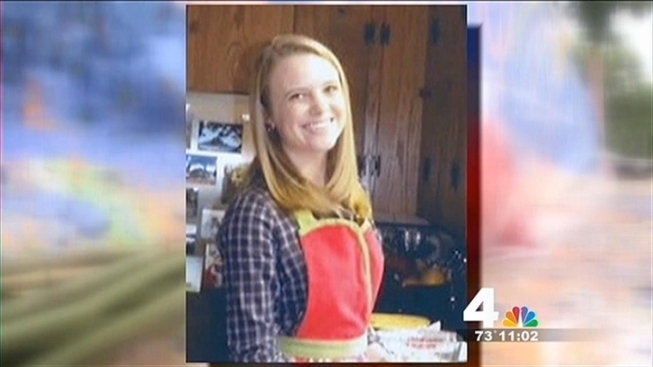 She was a Jefferson Scholar and a member of the Alpha Phi sorority. Students remembered their friend by painting the Beta Bridge near campus with the message "Shelley our Shooting Star." A vigil and rememberance service for Goldsmith will be held at Alpha Phi sorority Thursday evening. In New York, over Labor Day weekend, a dance music festival had to be canceled after two people died and four others were hospitalized because of apparent drug overdoses. The city has said the deaths appear to have been linked to drugs, specifically molly, though a spokeswoman for the city medical examiner said autopsy results were inconclusive.